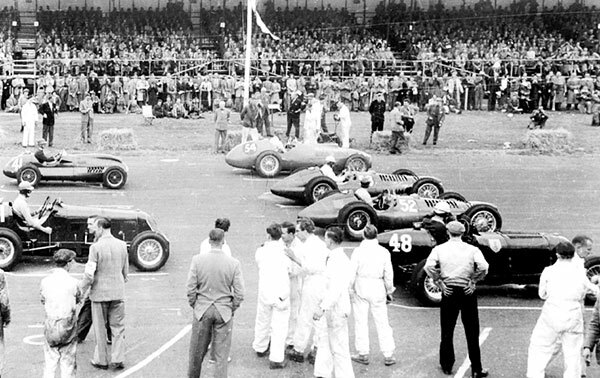 The images above were taken at the Daily Record Race Meeting at Turnberry Airfield in 1952. The top image shows the start of the main race. Mike Hawthorn is driving a Thinwall Special on pole No 54. The winner was Reg Parnell (BRM No 53), 2nd was Ken Wharton (BRM No 52) and in 3rd place was Ron Flockhart (ERA No 48). 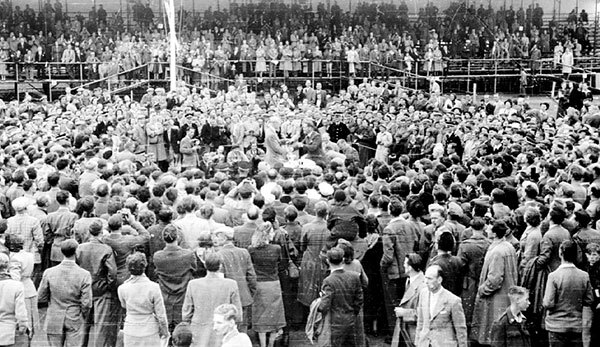 The lower image shows Mike Hawthorn receiving his trophy in the centre of the picture. (both images and information courtesy of Bill Henderson, Photographer).